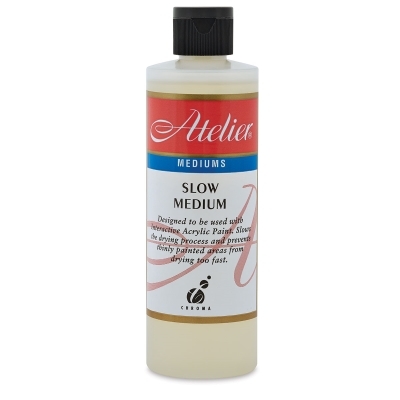 Use Slow Medium to extend the wet blending time, producing a smooth, mid-viscosity paint in small amounts. It is useful for glazing and other techniques requiring longer working time and thinner paint application. It also allows re-blending of paint that feels dry to the touch.